The TRG-100 time code reader (TCR) and time code generator (TCG) functions are multi-frame-rate and can read and generate SMPTE time code at frame rates of 23.976, 24, 25, 29.97 drop/non-drop frame, and 30 FPS (Frames-Per-Second). The HD frame rates of 50/720P, 50/1080I, 59.94/720P, and 59.94/1080I are also supported by the TRG-100 TCR and TCG. 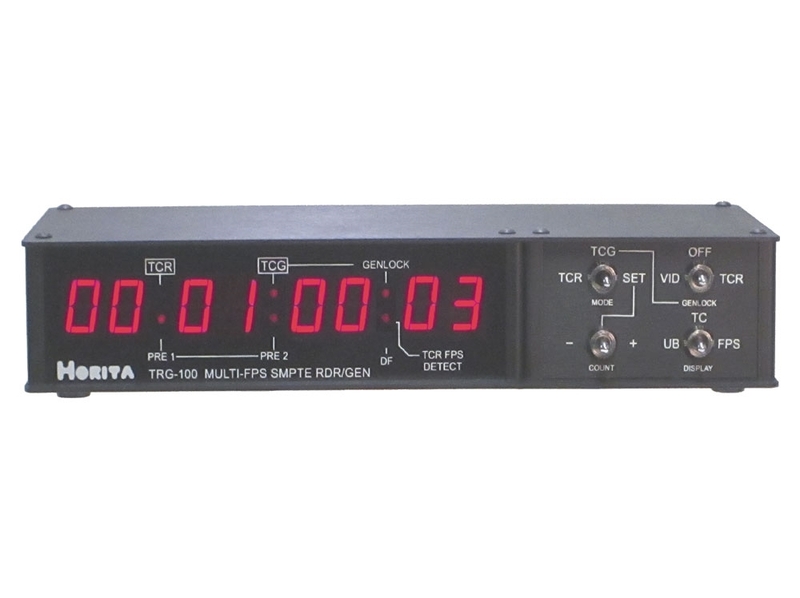 Eight digit 0.56" LED display shows hours, minutes, seconds, and frame number in familiar HH:MM:SS:FF format, as well as the TCR or TCG frame rate, and any TCG preset values. LED indicators show if TCR or TCG is selected for display, drop frame time code, Preset-1, Preset-2 selected to preset the TCG, TCG genlock status, and TCR FPS detect status. 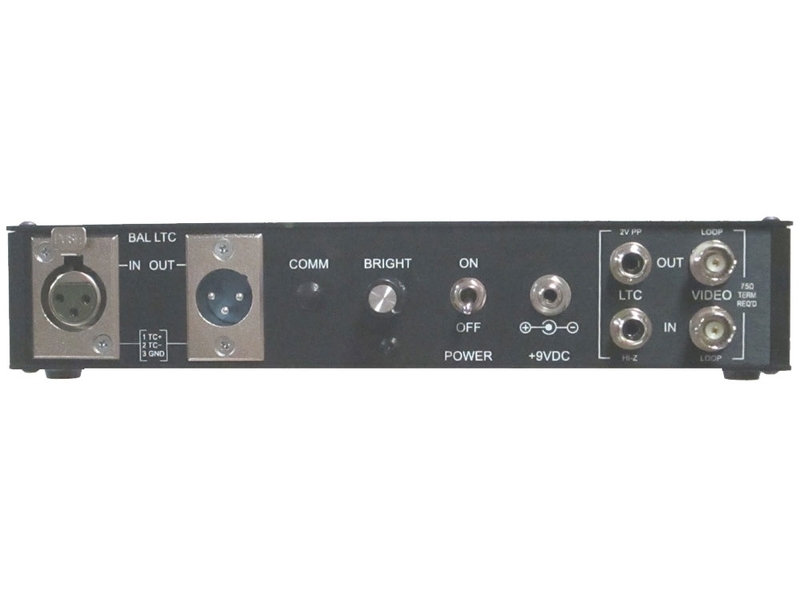 Provides both balanced XLR and unbalanced RCA inputs and outputs for time code. TCR reads SMPTE time code at "speeds" of from one frame-per-second up to about 10 times play speed. TCR "auto FPS detect" mode operates automatically to detect 23.976, 24, 25, 29.97DF, 29.97ND, and 30FPS frame rates. "FPS DET" LED indicator shows when frame rate has been accurately detected and measured. TCG starting time can quickly be preset either to one of two user preset values or "jammed" to the time code value being read by the TCR. Likewise, the "user bit" portion of the TCG time code can be set to match that of the TCR or can be manually preset. TCG "Run/Stop" momentary action switch permits quick starting and stopping of the TCG incrementing the time code value. TCG operation can be set to "freerun" or to "genlock" (phase lock) the generated time code to the incoming video or to the incoming time code. LED indicator shows if TCG is genlocked or not. When in "free run" mode the TCG has a very low free run drift rate of less than +/- 1 frame-per-hour. NTSC/PAL composite SD video ("bi-level") or HD tri-level sync inputs can be used for video genlock reference for the TCG. Standard SMPTE 29.97DF, or 29.97ND FPS TCG time code can be genlocked to an externally applied 29.97FPS NTSC SD video or to 59.94/720P or 59.94/1080i HD tri-level sync signal. Standard SMPTE 24, 25, or 30 FPS TCG time code can be genlocked to an externally applied PAL time code, 25 FPS SD PAL video, or 50/720P or 50/1080i HD tri-level sync. A 29.97SD video input or a 29.97ND time code input can genlock 23.976 TCG time code, and vice versa. Operates from a small AC power adapter, which is included, or can be operated in the field from 9-to-12 volts DC battery power. 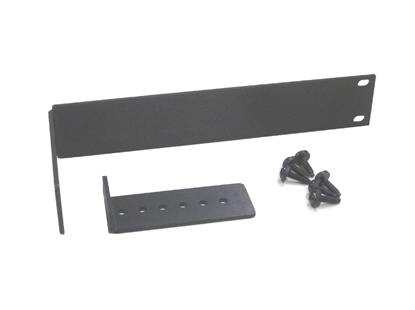 Can be can be installed in 19" rack or wall mounted by using an appropriate adapter kit.